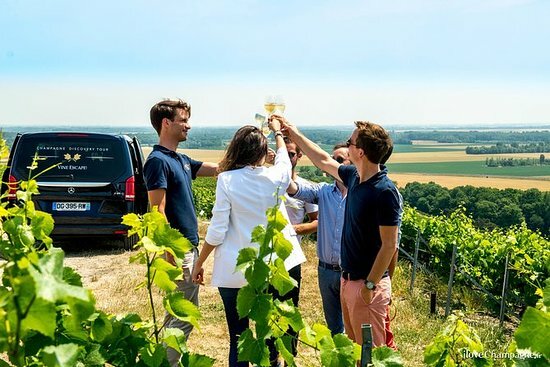 I am interested in taking a one-day tour from Paris to Reims that will definitely include Veuve Clicquot. 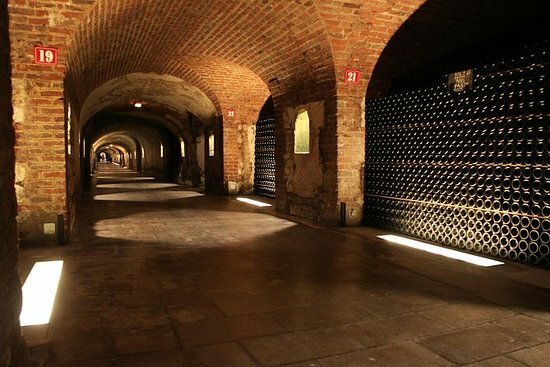 I’m fine with visiting other champagne houses and sites, as well, but that’s a must see for me. I tried asking the company which tour operators visit them, but they didn’t respond. Would it be better for me to just go there on my own? I think it would be nice not to have to hassle with trains and cabs. Thoughts? Related: What are the most popular tours in Reims? The houses do tours do it is a bit excess to take a tour to join a tour. It is easy to go to Reims by TGV and takes 45 minutes; tickets are cheapest 3 mos or so out. It is then easy with public transport or walking to visit the houses. There are buses and trams that start at the train station and will take you to the Cathedral and champagne houses but it is really not a long walk. IMHO one cellar tour is plenty. We did Taittinger and someone we met on the train did Taittinger and then just walked in for tastings only VCP. You can arrange tours on line well in advance for the houses you are interested in. Lots of cafes near the Cathedral offer Champagne flights and such as well as going to the houses. I know only of a tour that leaves from Reims train station so you would still have to deal with the trains. That tour is offered by Link Paris (linkparis.com). I looked into when a group of us were going to Reims in 2017 but decided against it because of the costs and the fact that the group wanted to go only to smaller houses. I'd just go to Veuve Clicquot on my own and not spend almost $300 for the tour. Can someone comment on how easily it is to get to Veuve after arriving at the train station? Someone talked about difficulties finding a taxi to take them? Any comment on that? What about Uber? Could I Uber there easily enough? I would really like to set this up to surprise a friend but I want to make sure I can get it all done. I would also love to see the Cathedral there. I was hoping all of this could be easily done from the train station. Thank you for any help in doing this on my own. I got one estimate for a tour for the 3 of us and it was almost $1200. I don't think so. Make sure you are booked ahead for a tour of the house as they may not have room for a cellar tour for walk ins. There are trams and buses that will take you near the Champagne houses if the walk from the train station is too much for you. 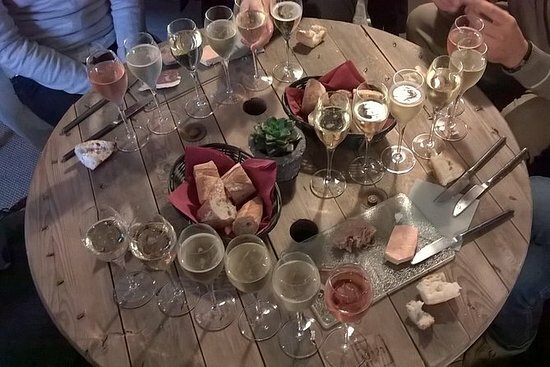 What other champagne houses would be walkable from the train station? I pulled up the map for Veuve and at 40 minutes, that is totally doable for me. After some research it seems Uber is mostly unavailable. I would love to know what others we could do with our day in Reims.